Find out what is the best yoyo for non-1a yoyo styles, two-handed looping (2a), two-handed string tricks (3a) offstring (4a) and freehand (5a). Yoyo Buyer’s Guide for 2A 3A 4A and 5A – What is the Best Yoyo? 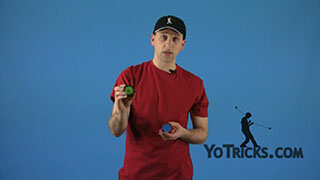 Yoyo TrickThis is the 2a-5a yoyo buyer’s guide for YoYoTricks.com, and in this video what we want to do, is we want to answer what are the best yoyos that you can get for each of those styles. 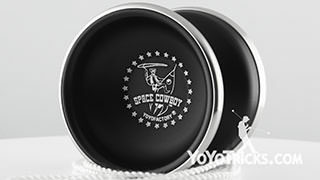 If you are not familiar, 2a-5a style yoyoing, those are the more unconventional styles of yo-yoing, if you are a new player we recommend that you check out our normal yoyo buyer’s guide, which is for 1a style yoyoing, and that is where you do yoyo tricks with just 1 yoyo attached to your dominant hand. In 2a style yoyoing, what you are doing is looping tricks with 2 yoyos at the same time. In 3a style yo-yoing you are doing string tricks with 2 yoyos at the same time. In offstring style yo-yoing you are doing tricks with the yoyo not connected to the string, that is also called 4a. 5a style yo-yoing is where the yoyo is not connected to your hand. That is also called Freehand style yoyoing. In this video we are going to do something we did not do in the 1a yoyo buyer’s guide, and that is, we are going to give you some setups to use when you get into each of these different styles; we are going to tell you what string type, and string length is ideal for getting into each of the styles. The reason this isn’t really necessary in 1a is because it is really easy to experiment. You can try longer strings, you can try different types of strings, and it is pretty easy to figure out what works for you. 2a-5a are so different than what you are used to a lot of times it is counterintuitive, the best ways to set your yoyos up. What we did is, we all got together, and we looked at the setups we are currently using, and we also talked to our favorite players from each of the styles to hear what setups they use. What we are going to present to you in this video is a range of options that we feel are ideal for getting started but also mastering each of the styles. When measuring the string, you want to measure from the top of the loop all the way down to the end of the string. Once you have found a measurement you like it is a good idea to find a way to use either your arm or your leg to get that same measurement. That way you can get consistent string measurements without having to carry a tape measure around everywhere you go. If you have already gotten into one of these styles and you find that you are not having a lot of success, one of the main problems we have found with new players is that they tend to play with their strings too long. If this is happening to you and you want to shorten your string, what we recommend is that you just shorten it a little bit every time you change the string, maybe by an inch or so, that way you won’t lose the skills that you have but you can still get to a more optimal setup. In this buyer’s guide, the other thing that we are going to do that is different than our other buyer’s guide is we are going to recommend 2 or 3 yoyos in every category, one of these is going to be a budget option and the other yoyo is going to be our top pic. This is true in every category except in offstring where the two yoyos are at the same price point. We just wanted to give you some alternatives, both of which we think are excellent. 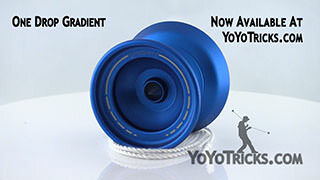 The reason we have a budget option is for players who are interested in the style but they are not really sure that they want to commit to it, we are offering yoyos that are excellent but won’t break the bank. If you are absolutely sure that you are going to love the style and you just want to get into it completely, we would recommend that you skip over our budget option and going for our top pick. Even if you are a new player in these styles, there is no disadvantage to doing that. The only case where this isn’t true is in 2a, it is in fact preferred that you get our budget option if you are a new 2a player, so, let’s just talk about 2a right now. 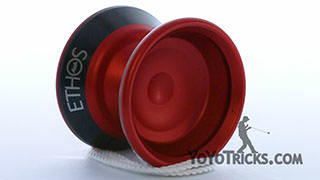 The budget option that I am talking about is the Oracle yoyo. There are a lot of reasons why we feel like the Oracle is the best option for players just getting into two-handing. Ironically, one of the best things about it is something that it does not have. It does not have an adjustable gap. A lot of the yoyos that the top 2a competitors use do have adjustable gaps. What that does for them, it allows them to tweak the width of their yoyo perfectly for their setup so it plays exactly the way they want it to play. 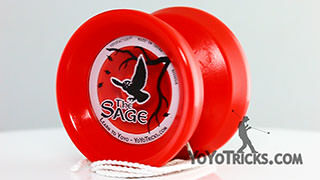 The Oracle yoyo just has a fixed-gap-width. The reason we feel this is better for new players is because when you are first learning how to loop you have to do a lot of practicing to get your loops down consistently, and you have to learn them with both hands. It is really important to be able to focus in on your practicing and not worry about anything else that might be going on with the yoyo. If your yoyo has an adjustable gap, what we have found is that a lot of new players tend to just be fiddling with that a whole lot instead of focusing on their practicing. We do feel that for new players it is an advantage to have a fixed-width yoyo. There are other things about the Oracle that are also great for new players. One of those things is that it is made out of POM plastic which is really durable, and it hurts a lot less when you hit yourself. As you are practicing these tricks you are going to appreciate that about these yoyos. The other thing is that instead of using a starburst response system, which, again, a lot of the advanced yoyos use, this one uses response pads. That has a couple different advantages. One of them is that your loops are more consistent throughout the life of the string because of how grippy those response pads are, but they are put in the yoyo in such a way that the yoyos will still sleep a really long time. This is great for all kinds of tricks, of course Around the Worlds, but also your wrap combos. What you will find is that the Oracle yoyos won’t hold you back. You can go pretty far in your 2a skills with these, and learn all those tricks that you are interested in. When you do get to the point where you feel you would like to be able to adjust the yoyos a little bit more and you want to step up your game a little bit, the yoyo that we recommend at that point is the Loop 1080. The Loop 1080 has a lot of the features that the top 2a competitors really appreciate. It has a starburst response system. It has a more classical rounded shape. The top players always seem to use yoyos that are that shape. It also has an adjustable gap. We feel that the implementation of the adjustable gap is better in the Loop 1080 than in any other 2a yoyo that we have used. The way it works is with every Loop 1080 yoyo it comes with a key, which is really just a small allen wrench, and that allen wrench is the same size as the allen wrench that is on the YoYoFactory Multitool, so you can use that as well. All you need to do is, you can see that the key fits right in here and you can just adjust that to the left if you want to open the gap up, or to the right if you to tighten it down a little bit, until you find the setup that works exactly the way that you want. The nice thing about this is you do not have to take the yoyo apart, or swap spacers, or realign the halves to get the gap width the way that you want, and, once it is set, it stays there, so that you don’t have to worry about that adjusting during play and messing up your routine. Those are the 1080s. Let’s talk about 2a setup. 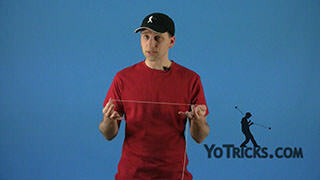 The string length that we recommend for two-handed style yo-yoing is between 29 and 36 inches (74-92 cm). What we found is that longer string lengths are a little bit easier when you are first getting into two-handed style yoyoing. The reason for this is because the longer string lengths mean you can loop a little bit slower, which is a little bit easier to control at first. The short string lengths are what more advanced 2a players use. The reason they do this, again, is because they can loop faster which means they can fit more tricks into their routine, and it looks a little bit more impressive. The string that we recommend for two-handed yoyos is regular weight HighEndString, the reason we like this is because it is a little bit fatter than regular polyester string, and what that does it it allows you to have slightly more consistent loops, it is a little bit more grippy, which is nice, but it also lasts a whole lot longer than regular polyester, and even a little bit longer than Kitty String, which, again, just means you can practice longer, which is what you really want to do with your two-handed style yoyos. 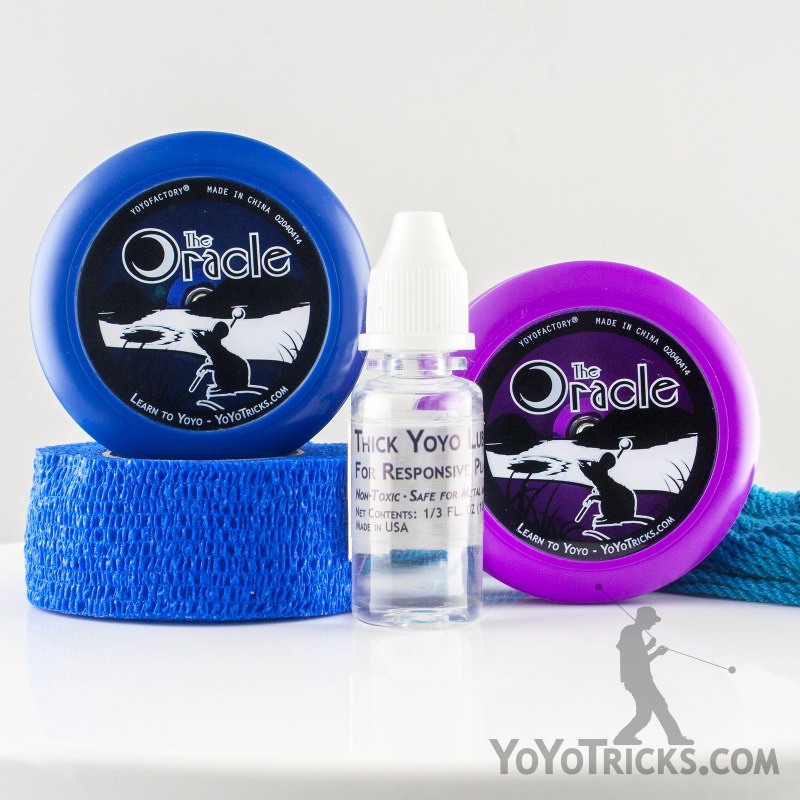 The other thing that you need to think about in terms of setup with your two-handed yoyos is how you lube the yoyos, so let’s do that right now. With both the Oracle and the Loop 1080 you are going to want to lube the yoyo pretty much every time you change the string. It will keep the yoyo playing really consistently and it will keep those loops really snappy. They are lubed pretty much the same way, but there are a few differences, so I am going to show you both. The first thing is when you take your Oracle apart, I usually take the bearing out, and then with your Thick Yoyo Lube, what I recommend is just putting a drop or two right here on the bearing seat – right where the yoyo touches the bearing. You don’t want to put on too much because then it can leak out and get under the response pad and cause it to peel out, which can be a problem. Putting on too much should affect play with the Oracle. Then you can put the bearing on. You can put the yoyo together now. If you find that it is not playing as responsive as you like you can also put a little drop of lube right onto the bearing, and that should help it to play a little bit more snappy. Of course one you have that together you can just put the yoyo together and you are all set. With the Loop 1080 it is pretty much the same, but you can see that the parts are a little bit different. Here you have these spacers in the yoyo and the bearing. If you are having a hard time getting the bearing out you can tap it on the table, and you can see that the bearing comes right out. Like I said, it is similar, but instead of lubing the spacer, you can just put a tiny, tiny drop of lube right on the axle, and then the bearing itself will push that down into the spacer and it will also get it into the bearing a little bit. Same thing just above the bering, you want to put just a little bit, a tiny, tiny drop of lube. If you put too much lube in with the 1080s, what you will find is instead of making it more responsive, it actually makes it a little bit slippy, so you don’t want to be too generous when you do that. Some players like to put lube underneath the spacer, what that does is it helps it to stick to the yoyo so that it doesn’t ride up on the bearing during play. What we have found is that even if you lube it this way, after just a couple of loops the lube works its way underneath the spacer anyway so that you do not have to worry about that. One more thing, when you are adjusting the Loop 1080, you want to make sure to take the string off, or at least unwind the string any time you tighten the yoyo. If you tighten it down while the string is on the inside it could put too much pressure on the adjustment mechanism which could break the yoyo. The other thing is, after you have lubed the yoyos several times, you may find that they do not sleep as long as they used to. To help with that you could take one drop of Thin Yoyo Lube and put that into the bearing on either yoyo. That will loosen up some of the lube on the inside, which will allow the yoyos to sleep just as long as they did before. When getting into 3a style yoyoing, what you want is a yoyo that has a really powerful sleeper so that you can take your time as you are going through the different tricks. 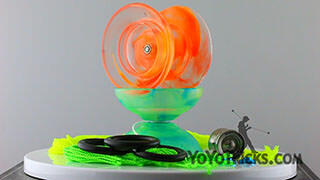 You also want a yoyo that is really stable, which will help you keep everything under control. 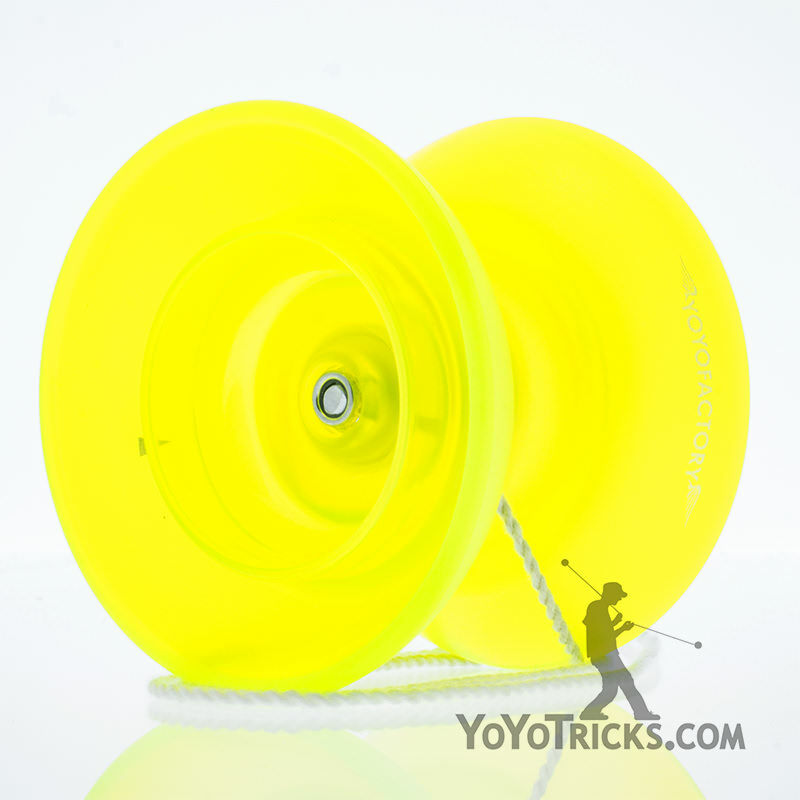 You also want a yoyo that is pretty easy at quickly changing direction, because that happens a lot in 3a style play. 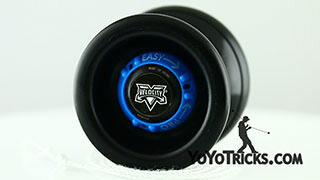 The budget option that we found that really embodies all of these qualities really well is the YoYoFactory Replay Pro. What we did is we put together a Replay Pro 3a pack that comes with 2 yoyos and all the other accessories and things that you will need for getting into 3a style play. We think that is a really great way to get started. Our top pick for 3a style play is the Canon, when we designed the Canon yoyo what we found is that a lot of the qualities that make a yoyo great for 5a style play, are the same qualities you want in a 3a style yoyo. The other thing that we did with the Canon for players who are really interested in getting into 3a style yoyoing, is we do have a 3a pack for the Canon that does not even include a counterweight, and that allowed us to keep the price especially low. If 3a is what you are really interested in, we don’t think that you will be able to find better yoyos for the price point we are able to offer in the 3a pack. Just like in 2a, we recommend using string lengths that are shorter than most of the other styles, so 29-36 inches (74-92 cm) seems to be the width that the best players are using these days. You also want to use a fatter or a heavier weighted string. Either fat Kitty String or fat HighEndString seems to allow you to do your tricks in the best possible way and still end your combos with a really tight bind. 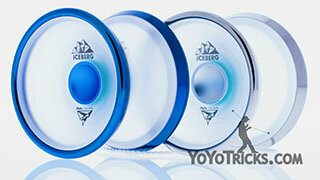 When getting into Offstring or 4a style yoyoing, our first recommendation to players is always the YoYoFactory Flight. We actually had a hand in the design of this yoyo, and we wanted to make sure that this yoyo was great for a full array of offstring style tricks. We did want it to be especially good for beginners, but we have been really pleased because we have seen national champions, international, and world champions switch over to the flight and actively use it in competitions. We feel like wether you are a new player or one of the best players in the world, the Flight seems to be able to meet the needs of offstring players. 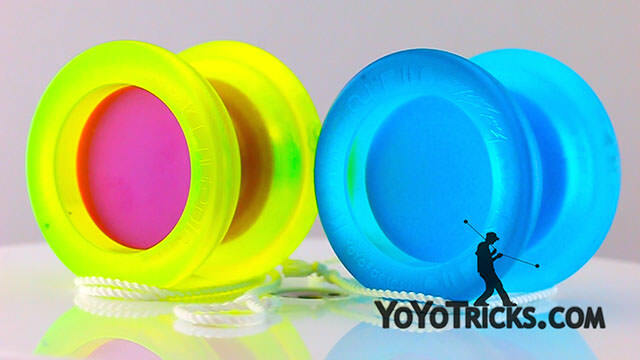 One thing that YoYoFactory has offered as an upgrade to the Flight are these blue spacer that you can put onto the inside of the yoyo to open up the gap a little bit. 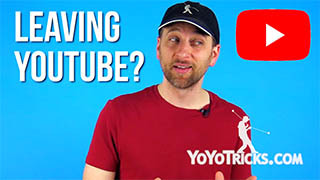 What that does, is, if you are more into tricks where the yoyo is landing on multiple strings, or if you are really interested in 4a tech combos, that just makes those tricks a little bit easier. The other thing that is great about the Flight that sets it apart from other offstring yoyos, is this little inner ring right here, which is great for finger spins or off-axis thumb grinds, and once you have mastered the technique, what you will find is that there are all kinds of really amazing tricks that you can do with the Flight that aren’t always possible on other offstring yoyos. 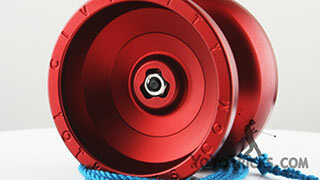 If you are looking for an alternative to the Flight, the yoyo we recommend most is the Duncan SkyHawk. We have always been really big fans of the SkyHawk, and comparing it to the Flight, there are a lot of things that it has going for it that players really to appreciate. For one thing, it is a little bit lighter than the Flight, and some players feel like that allows them to practice longer and to do tricks the way they want to do them. The other thing is the gap is a little bit wider, again, if you are really into tech combos that helps out quite a bit. One thing that is really interesting about this yoyo is this metal weight ring one the inside. 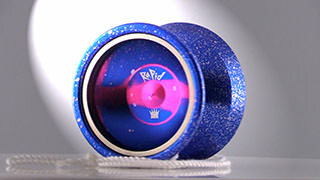 If you look at the diameter of that, you will see that the diameter is really close to the diameter of most 1a yoyos. 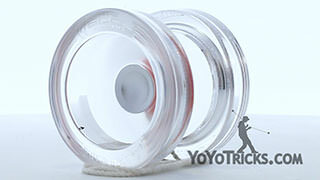 If you are transitioning from 1a into offstring what you will find is that this yoyo moves a lot more like a 1a yoyo than a lot of offstring yoyos do, because the weight is concentrated in that area, and that can help ease the transition from 1a to offstring if that is what you are doing. 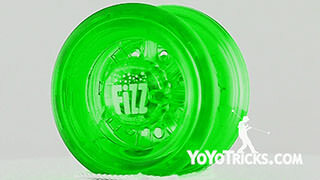 The other thing about this yoyo, it did win the national yoyo contest in the hands of Zac Rubino. He actually came out here and he taught us a bunch of really great tricks, and after filming all of those tutorials and using the SkyHawk with him, we appreciate this yoyo even more now than we did before, and we are pretty confident that once we start getting those tutorials out you will see how great the SkyHawk is as well. 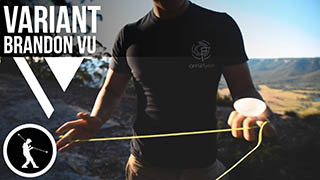 Talking about setup, the string length that we found that works best with offstring yoyos is somewhere between 41 and 48 inches (104-122 cm). With the Flight, because the gap is a little bit more narrow we do recommend using regular thickness Kitty String. With those blue spacers you can achieve 3 different gap widths, the most narrow is the way it comes with 2 of the regular spacers, if you put in 1 blue spacer it is a little wider, if you put in 2 blue spacers it is as wide as that yoyo gets. That is how we prefer to use it, with the 2 blue spacers, so you can experiment with that. With the SkyHawk, because it is a little wider, we recommend using fat Kitty String, which is also the way that Zac Rubino uses the yoyo when he uses it. When thinking about 5a there are a number of characteristics that make yoyos particularly good for 5a. The first thing is that the yoyo has to be really durable. What I mean by that is, as you are practicing 5a you are definitely going to be dropping the yoyo a lot, what you want is a yoyo that, even though you have dropped it a lot and even dinged it up quite a bit, it is still going to continue to play the same. The second thing is you want a yoyo that is really resistant to lean. The reason for that is because as you are doing your tricks a lot of times the counterweight is going to moving on a different plane compared to the yoyo, and that is going to cause the string to push into the sides of the yoyo. You really want a yoyo that is going to resist the tendency to lean in those cases because that will allow you to do longer combos and more impressive tricks. The third thing is you want a good ratio between the yoyo and the counterweight, and the ideal ratio between these two is that the counterweight should be right around 1/6th the weight of the yoyo. Finally, the last thing you want is a yoyo that moves pretty quickly and pretty easily, and can change direction pretty fast. That is because in a lot of your different 5a tricks you have a lot of changes in direction going on and you have a lot of motion happening at the same time. You want to feel like it is under control, but you also want to be able to make that happen as quickly as you want. There is a pretty good balance there, you do not want a yoyo that is too fast, and you do not want a yoyo that is too slow, and all the yoyos that we have, have really struck that balance. The yoyo that we recommend if you are thinking more in terms of getting a budget yoyo for this style is the Duncan Freehand Pro. 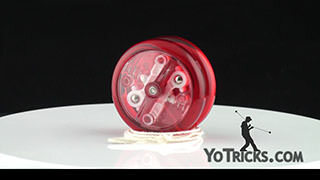 The reason why we really like this yoyo is it embodies all of these characteristics at a really great price point. 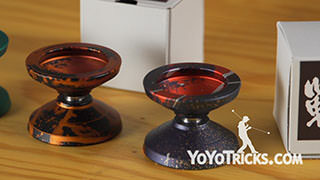 Over time Duncan has made several Freehand yoyos, and this one has really been designed for the modern era. 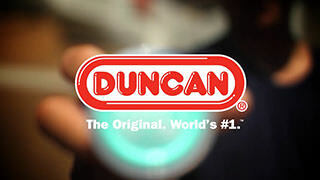 Like we already talked about, it moves the way that you want, it is perfectly balanced with the Duncan counterweight that is included with it. 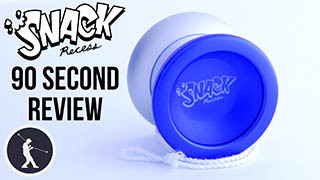 It even comes with a concave bearing which keeps the string centered, which helps the yoyo resist lean even a little bit more than just the shape of the yoyo, which is great. For all of these things at this price point, and the durability of this yoyo, it hits all the marks. 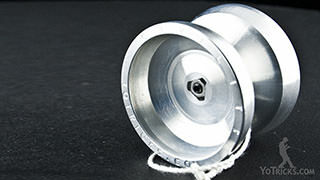 The second yoyo that we want to recommend for this style is a yoyo that we have designed ourselves, and that is the Canon. The Canon yoyo was designed in a partnership between 5a world yoyo champion Jake Elliott and YoYoFactory, and it really embodies all the characteristics that you would want in a 5a yoyo. When you take a look at the Canon, one of the first things that you may notice is this little step coming off the response pad area. What that does, is it limits the contact between the string and the profile of the yoyo even when the string is pushing pretty far off plane. 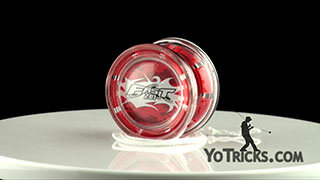 That allows it to be more resistant to tilt, and because it also reduces friction, it allows the yoyo to sleep longer. Another thing that you may notice about this yoyo is this rounded spike in the center. The reason why that was implemented in this design was so that all the aluminum around the axle would be thicker. 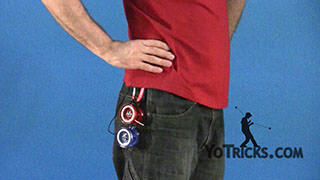 That way when you drop your yoyo during practice, which will inevitably happen, it will be a lot more resistant to flexing and changing shape throughout the life of the yoyo, which means that overall it is a more robust design. Another thing that is great about the Canon is that it comes with the UltraWeights, which is a machine Delrin counterweight, which was also designed by Jake Elliott, it even features a ball bearing in the center, which allows you to deal with string tension while you are doing tricks so that you don’t really have to think about that too much. The UltraWeight on its own retails for $15, but it comes included when you buy the Canon so it just makes the whole yoyo overall a really great deal. The Canon was specifically designed to be used with this counterweight, so you will find that when you are doing tricks the two of them are just a perfect match and they move exactly the way you would want a 5a yoyo to move. Of course, we couldn’t talk about 5a style yo-yoing without talking about also talking about the Atlas, which is the yoyo that Jake Elliott used to win the 2015 world yoyo contest in 5a. As you can see when you look at the Atlas it has an especially wide design, and that has all kinds of benefits for 5a that may or may not be expected. One of the things you will notice about this design is because it is so wide the string has to be pretty far off plane before it starts pushing into the profile which makes it really tilt resistant. That width is also really helpful when learning new tricks, because you are constantly trying to get the yoyo on to and off of the string when learning combos, and the counterweight is always moving around, so that width makes it a lot easier to learn your basics. When you start to get into the more advanced tricks, it also makes really risky elements possible because you have that much more room to work with. Another thing about the Atlas that is really great is that it is especially good for off-axis style play, and when you apply that to 5a, in general off-axis in 5a is incredibly difficult to learn, but because the Atlas is so good at off-axis, and because it is so wide, it is a lot easier to hit the strings that you are going for. You will find that those tricks are finally within reach when you start to work on them with the Atlas. One more thing that we did to make this yoyo especially good for people getting into 5a, or for people wanting to push the limit, we have now paired it with the UltraWeight so when you buy an Atlas you will get an UltraWeight as well, this is the setup that Jake Elliott used when he won the world yoyo contest, and we feel that this pairing allows you to push your skills to the limit. When you are thinking about setting up your 5a style yoyos, what we have found is you want to use a string length somewhere between 35 and 45 inches (89-114 cm). Especially when you start to get towards the lower end of that spectrum you want to use thicker string. In general we recommend using fat HighEndString. If you are looking to have the exact same setup that Jake Elliott used when he won worlds, he used regular weighted HighEndString with the Atlas, so you can definitely give that a try. 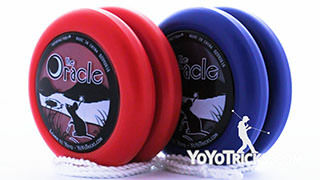 Those are our recommendations for 2a-5a style yoyos. 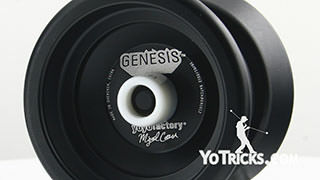 Really all of us at YoYoTricks.com, we feel that you get the most enjoyment out of yo-yoing when you experiment with the different styles, and you may even find one that you really love, so we hope that the yoyos and the setups in this guide really help you out. If you have not done so, be sure to download our app for Apple or Android devices and you can learn all the tricks on there. Thanks for watching. There are no yoyo tricks you need to know before learning this trick with your yoyo. 2019 Yoyo Buyer’s Guide – What is the Best Yoyo? Yoyo Buyer’s Guide for 2A 3A 4A and 5A – What is the Best Yoyo? 2016 Yoyo Buyer’s Guide – What is the Best Yoyo? 2017 Yoyo Buyer’s Guide – What is the Best Yoyo? 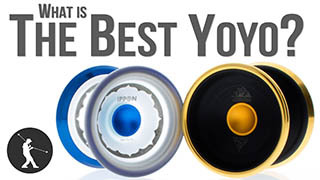 2015 Yoyo Buyer’s Guide – What is the Best Yoyo?